Yipee! Our friends at ADActivewear have made their already fantastic Hytail Hat even better. Their Athletic Version is fashioned out of a lightweight, wicking material that keeps you cool, yet provides that much needed sun protection for your face and important head protection from ticks and other nasties. 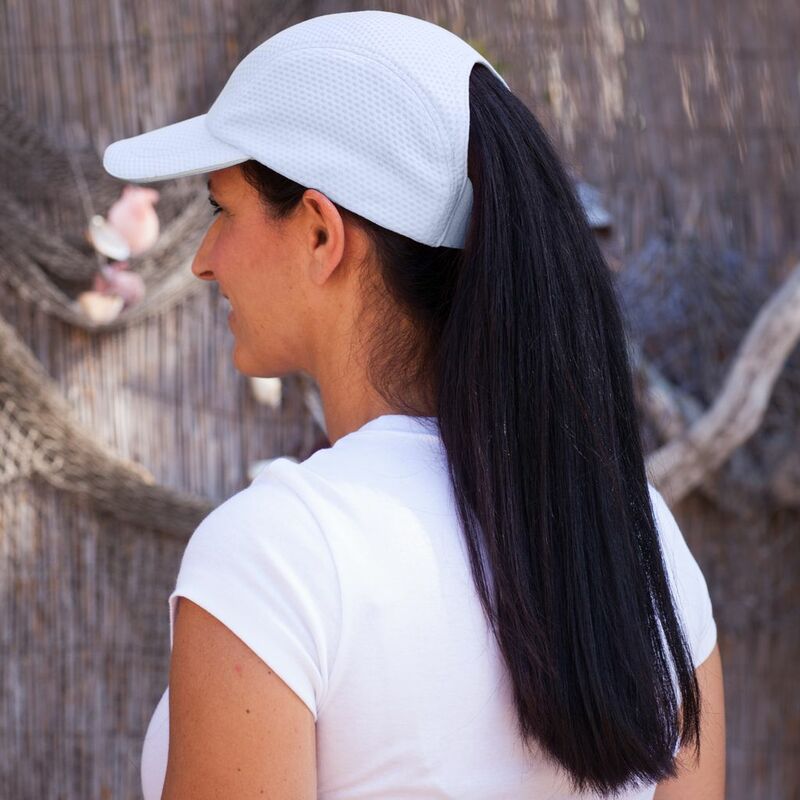 It’s the same great design with the original Hytail Hat that we love with the higher arch for your ponytail plus a wide band so the hat stays put as you are running down the trails, hitting the courts, or any high-impact (read: sweat-producing!) sports or activities. Even die-hard visor fans will be converted since this hat doesn’t give you the dreaded “hat hair” – one happy TrailblazerGirl!